November 14th in Wordpress Plugins by Wordpress Jedi . 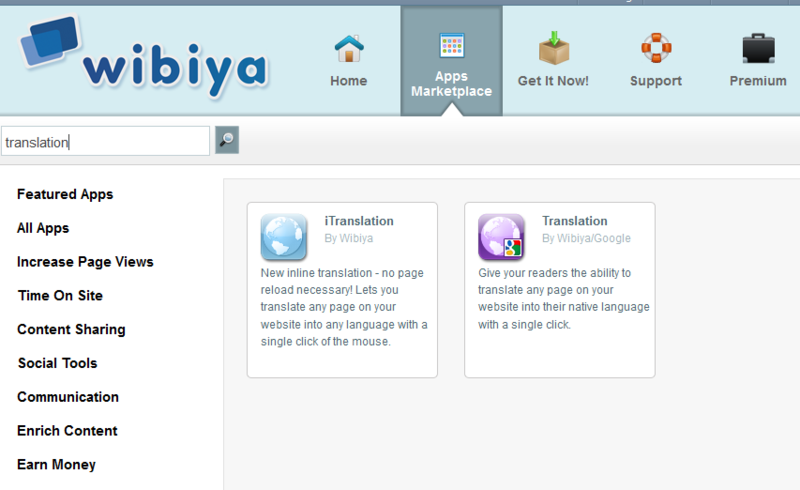 Wibiya: the social toolbar that we use on our site. It has a ton of applications you can add to it to make your website more interactive. That includes translator apps too. 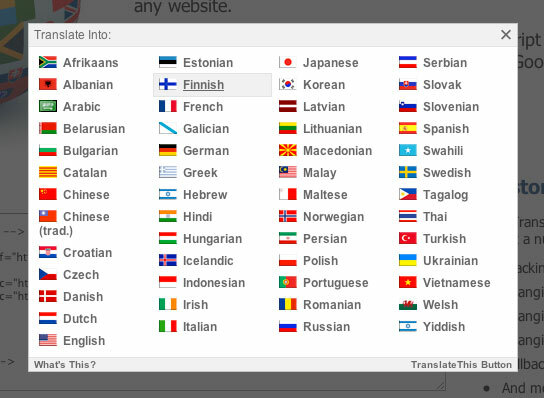 GTranslate: covers 58 languages on your site, making your site readable by the 98% of people online. The pro version of this plugin is more SEO friendly and well worth a look. Transposh: a sleek and hybrid translation system that combines auto and human translations to bring your visitors a better final product. 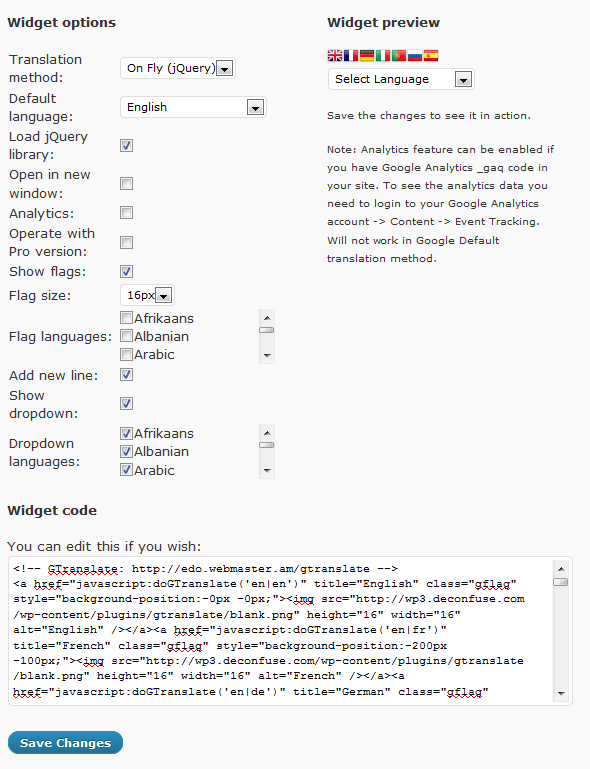 Google AJAX Translation: an AJAX-based translation plugin for your WordPress website. 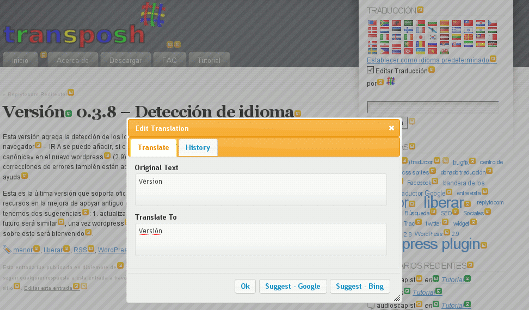 It adds a translate button to your posts, pages, or comments. When clicked, the language options are revealed in form of a pop-up. You should never discount your international traffic. You would be surprised to know how many folks from other countries actually visit your site. Adding one of the above plugins helps your international audience get more out of your content.